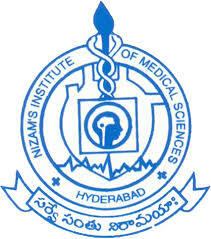 Nizam’s Institute of Medical Sciences invites the applications for admission to Master of Physiotherapy (MPT) course through entrance test for the academic year 2018-19. 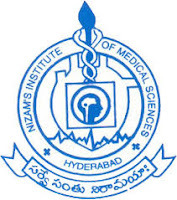 The candidates who have already registered for any degree or studying regular course and applying for admission to another course in NIMS, shall resign such training course in the Institute duly fulfilling the conditions of the bond and failure to do so, their applications for admission to the other course will be rejected. Age limit: The minimum age for admission shall be 22 years completed as on 31-12-2018 and should not be more than 35 years as on 31-12-2018. Upper age limit is relaxable by 3 years in the case of SC and ST candidates. For in-service (NIMS) candidates, the age limit is not applicable. Last date: October 01st, 2018 till 5:00 PM.